I created a pruning glossary because I wanted to give you a few basic terms so that you feel comfortable with the language. Some of the terms may sound a little strange, others are downright funny. Regardless, after a while they will all start sounding familiar and you’ll start to feel like a pruning pro. Canopy, Shoots, Suckers, Stems, Twigs, Bud, Node, Stipule and other terms and expressions are part of the pruning guide and relate to almost all plant and tree types in the world. These are the horticultural codes. Although there are many more botanical horticultural terms, I decided to keep my guide basic and everything simple… so it will also be simple to follow. The following terms will provide you with enough basic information, certainly for this concept site, but also beyond. Please feel free to send me more terms, or different uses for the same term, and I will add them to the guide. I am familiar with the fact that there are a few differences between names and terms in different cultures, states and so forth, so please feel free to send me your input and corrections. 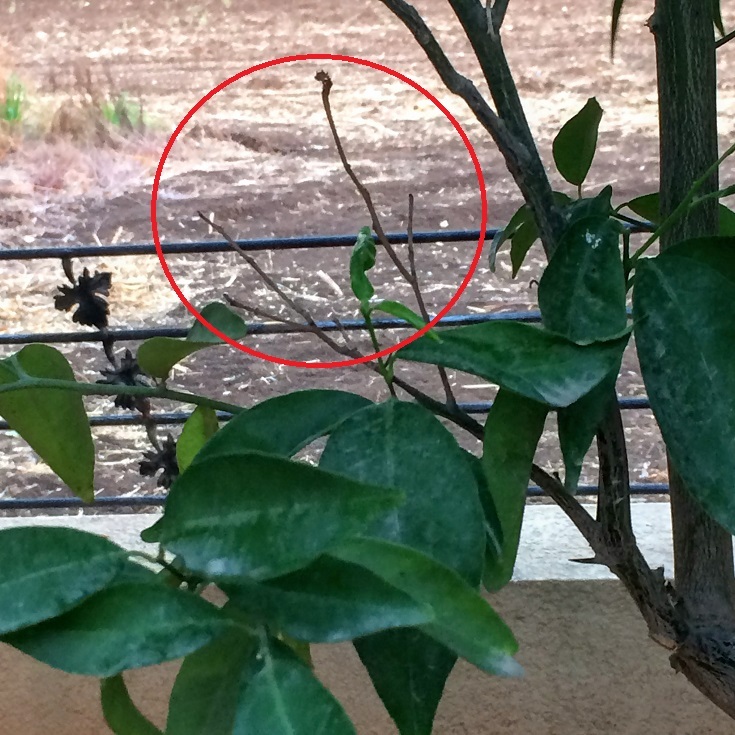 Bud - a tiny leaf (in most cases) that has just been born and has not yet opened. Canopy - refers to the overall shape of the plant, which looks a little like a muffin top. In the following image, you can see how the top leaves and branches cover the whole shrub - that's the canopy. 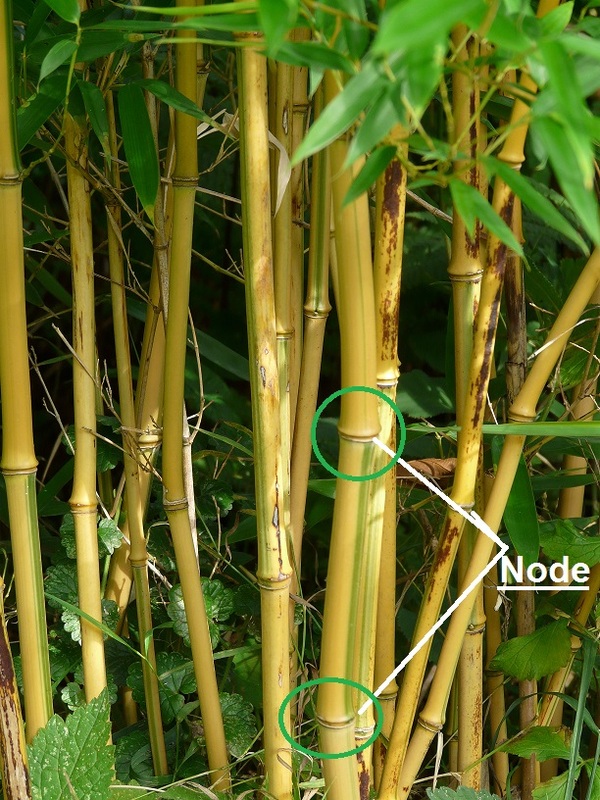 Node - the connecting point of one or more leaves, and buds, which can grow into branches. Shoots - the little green stems and leaves that look so lovely - well, you can just cut them off. They grow, but nothing serious will ever come of them. These are not the guys to pin your hopes on, better to ‘nip it in the bud’ and say goodbye! 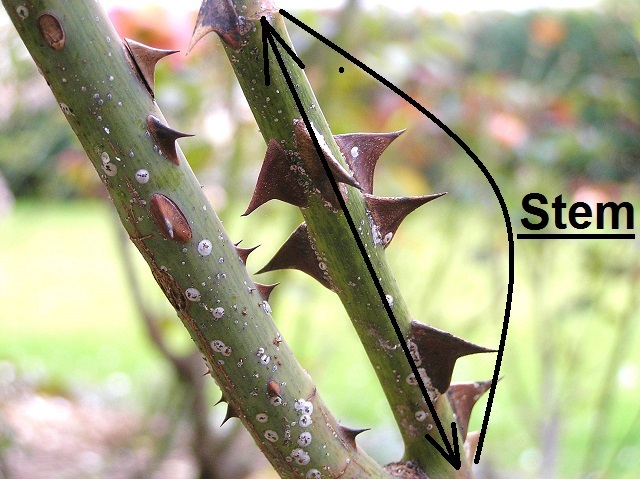 Stem - this is the "spine" of your plant. 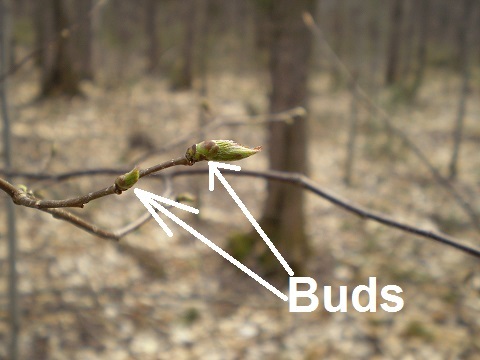 Buds, nodes, twigs - the stem carries them all. It is the connection between the roots and the entire plant. In large plants and trees the stem is known as a trunk. Twig - a small branch. We could spend days discussing small differences in different twigs, but basically twigs are just small branches. Kind of sticks. Most often, they are small dead branches. What do they have to do with a pruning glossary? Here’s the thing... each of the terms presented in my pruning glossary above will eventually need to be pruned. Although it seems quite simple to prune (and it is) it’s always easier when you’re using the right pruning shears. It’s true that you can use one pair of pruning shears for all of your pruning needs, but let me show you how I see it, and what I recommend – after all, this is why you’re here J. 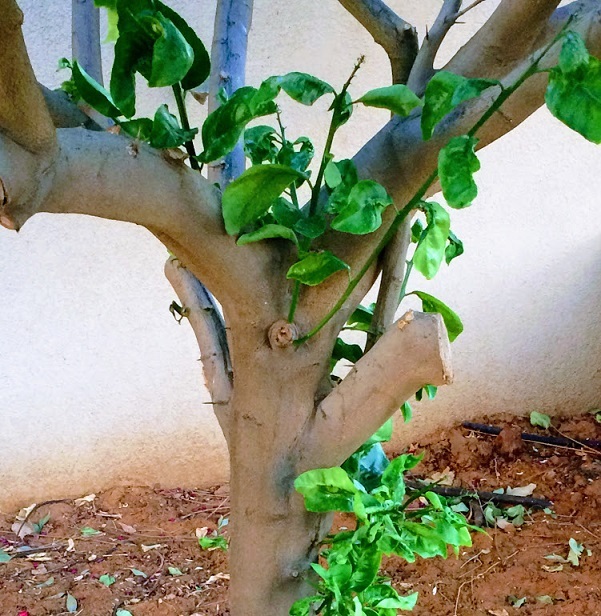 For the canopy and stem, I would use long blade bypass pruning shears, because they work well with plants like the one in the picture – thorny, dense with leaves and small branches. 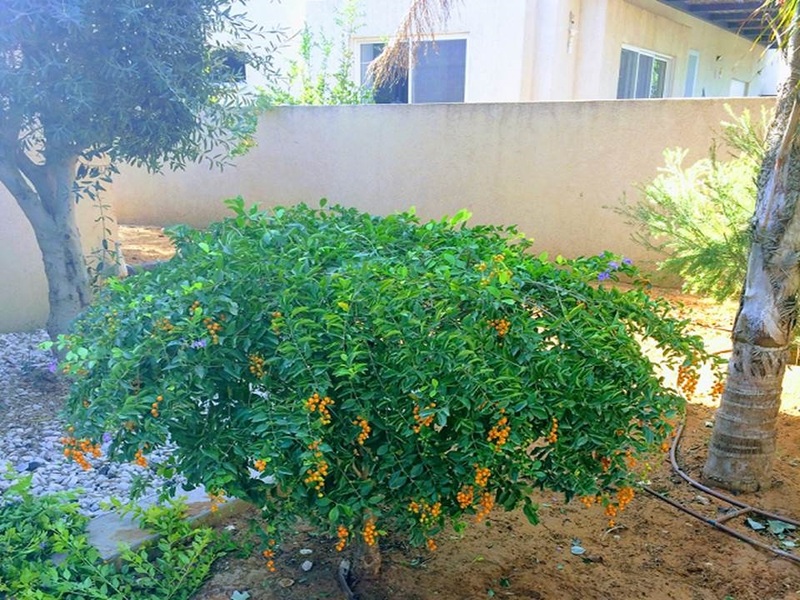 For the twigs and shoots I would use regular bypass pruning shears, because the twigs and shoots are easy to see and access, there’s nothing in the way to disturb the pruning path, and they have soft, small branches. When choosing the right tool, there are two things I consider: my approach or access (to the cutting point), and the thickness (of the branch). Of course, I also make sure my shears are always sharp and clean.